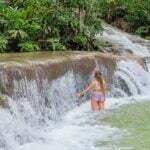 I recently went on a trip to Jamaica and spent 5 days in what felt like paradise! The weather was beautiful and warm…compared to the snow and ice I left behind. There is nothing like a little sunshine to make you feel good. Today’s post is an overview of my trip but stay tuned for more posts coming up soon. 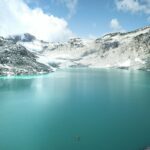 I flew from Vancouver to Toronto and spent a few days there to visit with friends. 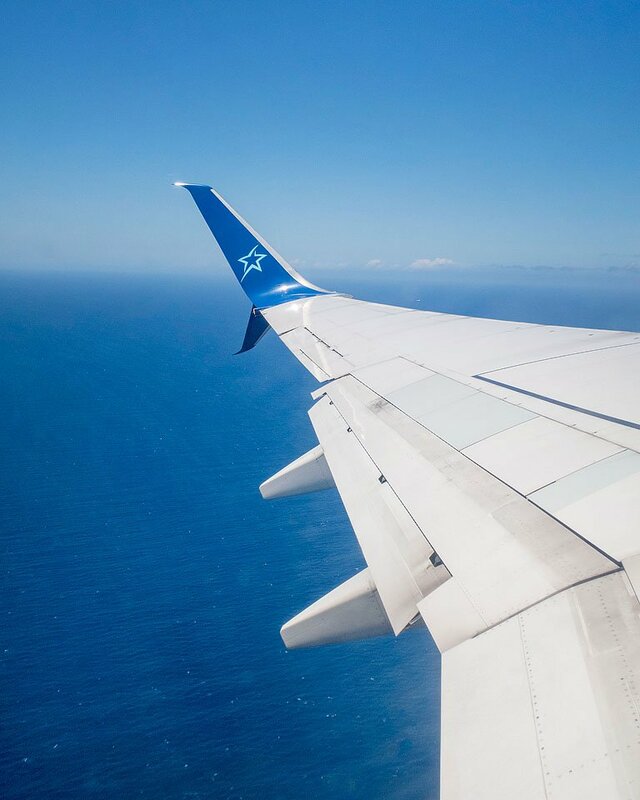 From Toronto I flew on Air Transat and I was nothing but pleased. I upgraded to option plus seating which means I got 2 checked pieces of luggage, complimentary seat selection, priority check in, priority boarding, a meal (breakfast in my case), an alcoholic beverage and a comfort kit which included a blanket, eye mask and neck rest. I sure felt pampered on this flight. The meal I had was by chef Daniel Vezina from Quebec and the dishes are amazing. I had the chance to try a breakfast option which was an additional $25…and I ordered it ahead of time. The staff were very friendly, and I really enjoyed my flight from Toronto to Montego Bay, Jamaica. 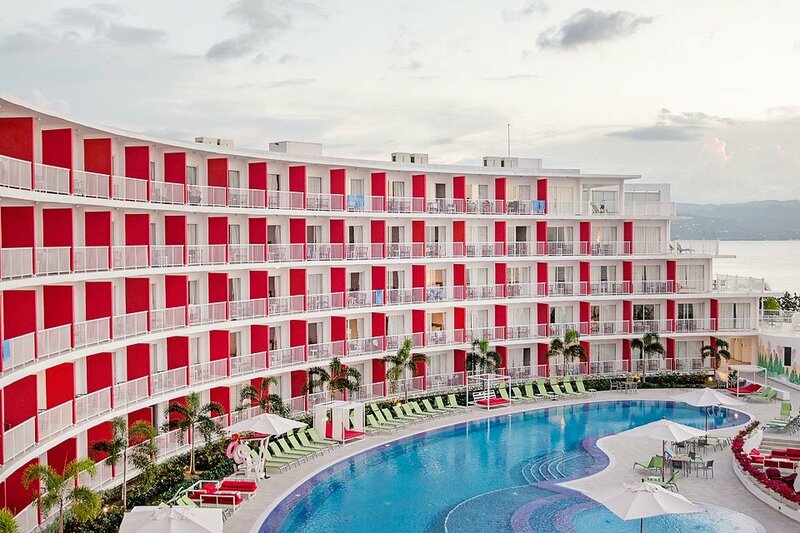 We stayed at the all-inclusive Royal Decameron Cornwall Beach in Montego Bay. It has a very Caribbean vibe and I loved all the bright colours throughout. The resort has a pool and beachfront. You can rent canoes and paddle boards on the beach for activities to keep you busy. I am more of a beach person, so I spent most my time there when I was on the property. Each room has a super comfy bed, a cute little reading area and a deck overlooking the beach. 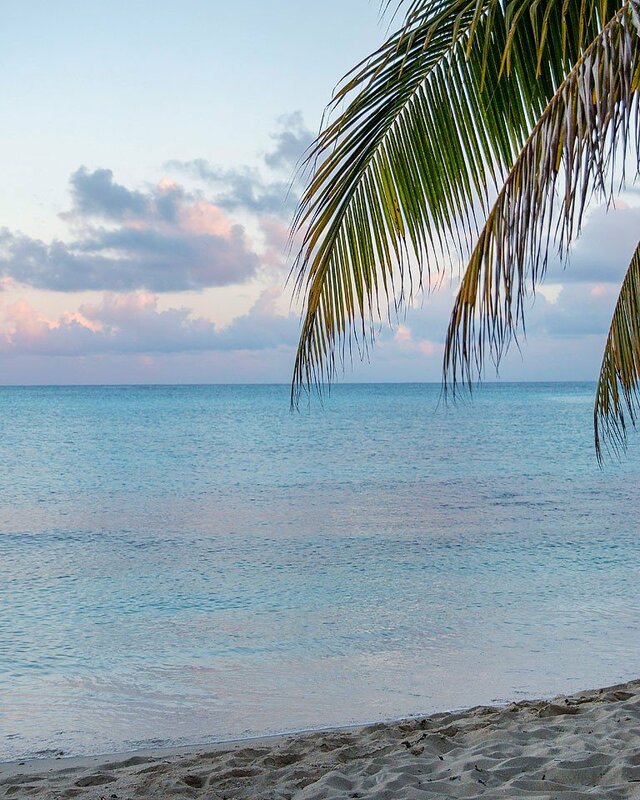 Each day you are treated to a beautiful sunrise and sunset which you can watch from your room or if you are like me…from the beach. The buffet at the hotel was super good. They had a wide selection of foods and even with my limited diet (gluten free, dairy free, low carb), I had no problem finding items to fit my diet. I really liked the jerk chicken and all the fresh fruit. Gosh I miss fresh fruit in the wintertime! Since it was an all-inclusive resort the bar was full swing most of the time. They had the best Pina Coladas and lots of other fun drinks…but I always had that! The resort had a private beach which had lots of seating, but I would head out there early because people were grabbing seats around 6 am! 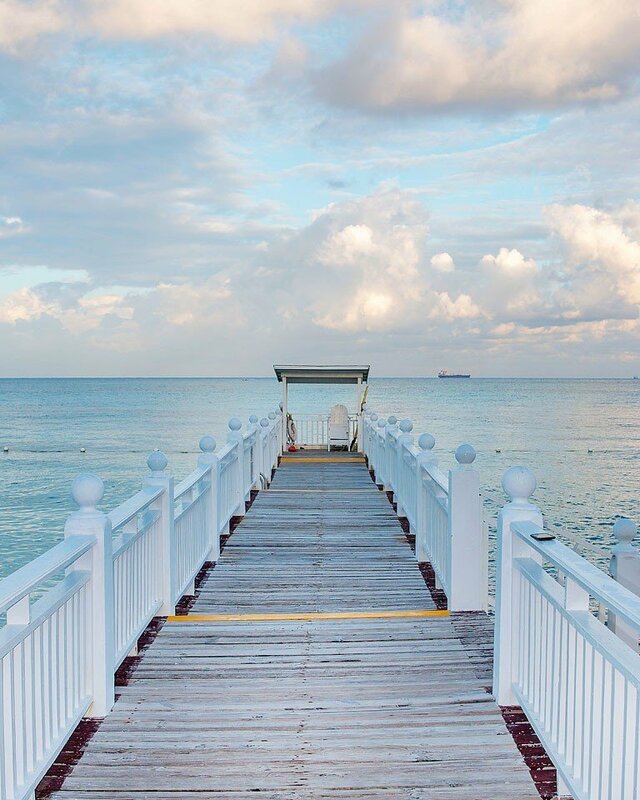 The early bird catches the best seating in Jamaica! I was joined on this trip with some gals from Montreal and Toronto that became fast friends. 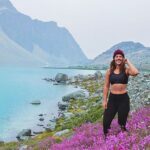 Check them out for their take on the trip…. Angela, Alyssa, Anna, Krystle, Jeanne and Jess. Check out my trip vlog! You can watch it on YouTube for better quality. Rafting on the Martha Brae River – This rafting tour is so relaxing, and the scenery is beautiful. 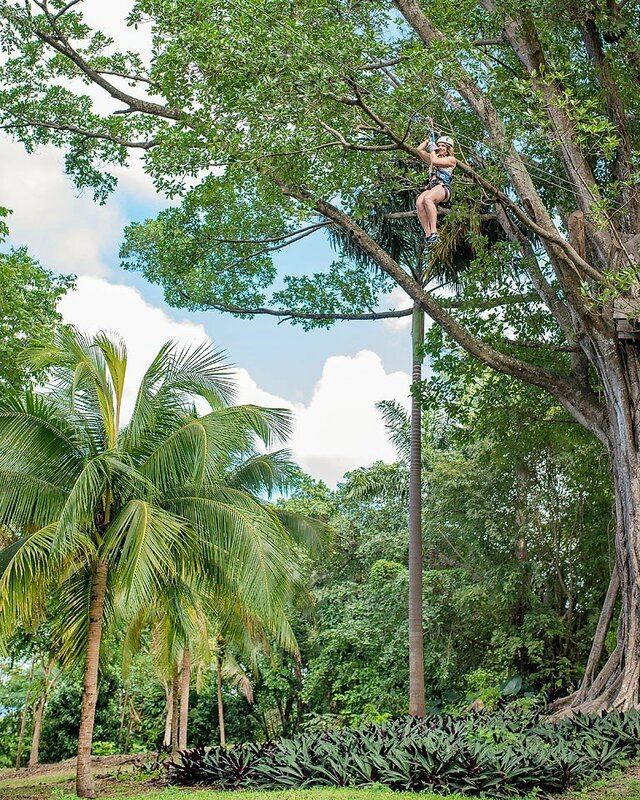 You are on a 30-foot bamboo raft which doesn’t even seem like it should float…but it does! During the tour, the captain shared lots of information about rafting and how the rafts are made. It was such an amazing experience! Don’t forget to bring buy spray and sunscreen for this tour. It is totally safe to bring your good camera, too. 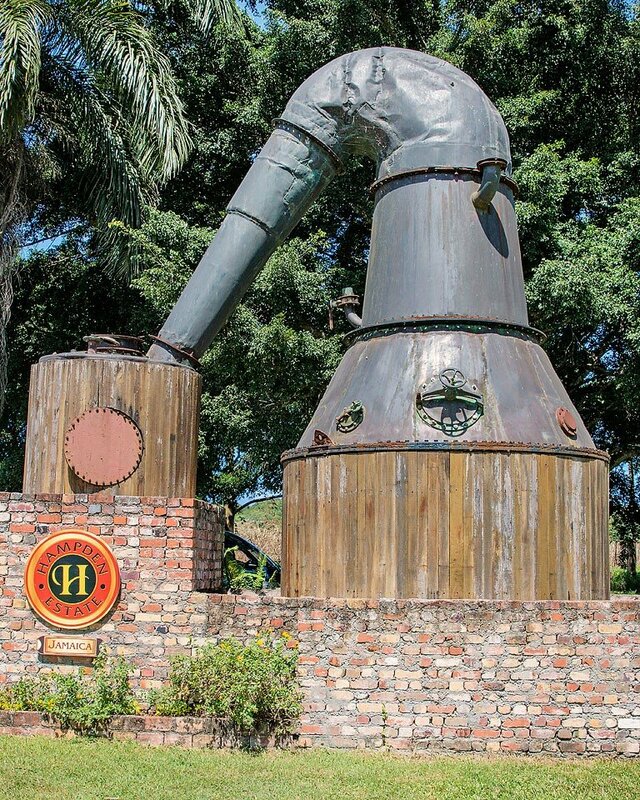 Hampden Estate Rum Tour – The historic Hampden Estate is in Falmouth. The rum tour was very interesting as they have been making rum there since the 1700s. On the tour we got to sample the rum they make there. I tried one that was 80 proof and it was super strong. They call it fire rum and I can see why! My body was on fire for hours after. Zimbali Retreats – Zimabli Retreats is an off-the-grid farm where you can enjoy a farm-to-table meal or stay there for retreats. 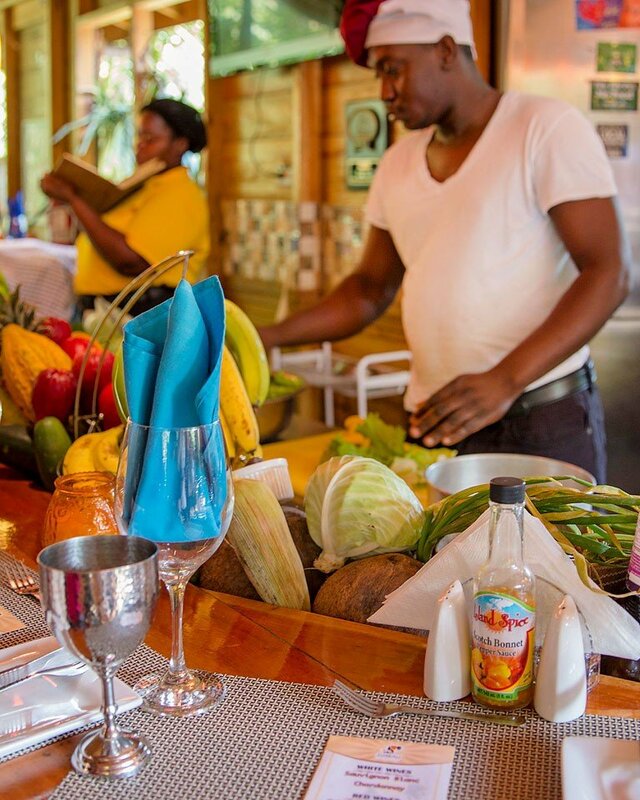 The beautiful property has over 500 fruit trees from pineapple to bananas and plantain. We had a tour of the farm and it was amazing to see all the fruits and vegetables and then enjoy the delicious meal. Negril Seven Mile Beach – If you are looking for a long, lazy day of soaking up the sun… this is the place. Seven Mile Beach is in Negril and a great place to spend the whole day if you have time. While we were at Seven Mile Beach we went to Margaritaville and enjoyed margaritas…of course! The water is a beautiful clear blue and it was great to have a little relaxation time. 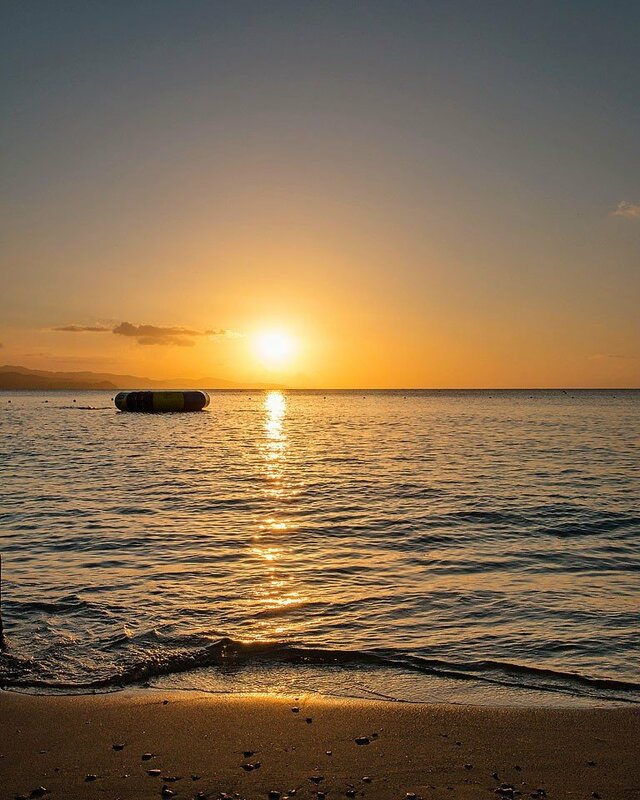 Rick’s Café – Rick’s Café is a Jamaica icon and I can vouch that it has the best sunsets ever. I am not kidding…it was so dreamy. 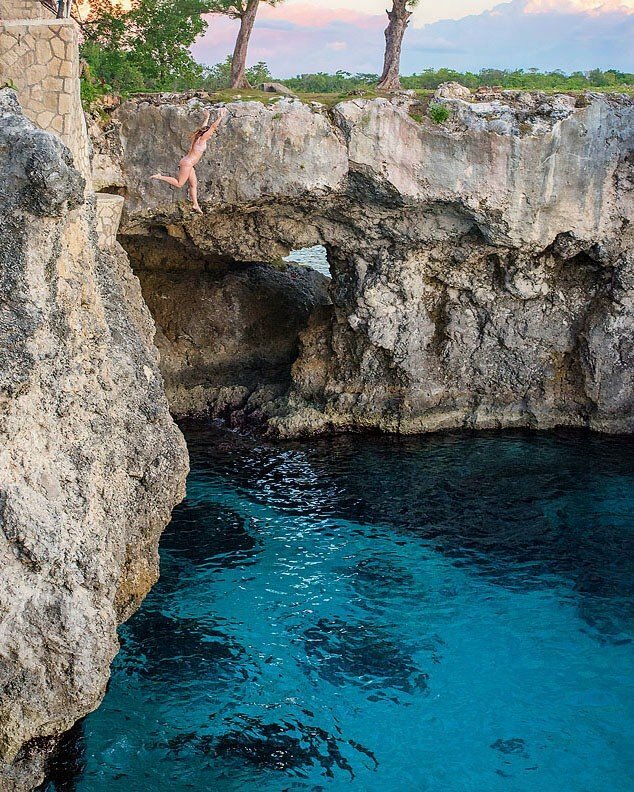 I was super excited to get to go here because they have cliff jumping. I tried the one from 30 feet high but they do have some places to jump from that are closer to the water. It was so much fun and a real adrenaline rush. Chukka Falls Flyer Tour – We went on a zip-lining tour where you fly through the palm tree forest and over Dunn’s River Falls. These falls are one of Jamaica’s national treasures and I can see why…they are really beautiful! Make sure you bring bug spray in addition to sunscreen to this location, too. 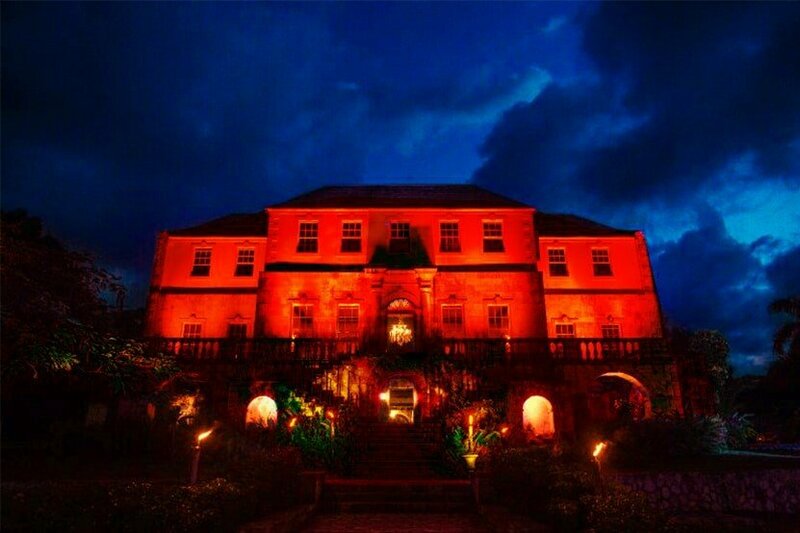 Rose Hall Haunted House – I am not one for scary things (like at all) so I was a little worried about this tour. It was actually a really fun tour even though I screamed a lot. They tour guide shared the story of the house and how it is one of the very few great houses left in Jamaica. You can also visit Rose Hall during the daytime for less scary tours, too. ? All of the food at the all-inclusive Royal Decameron Cornwall Beach was delicious and abundant. However, it is sometimes nice to get out and experience the local faves for some traditional Jamaican food (and drinks). Scotchies – This place is another Jamaican icon. 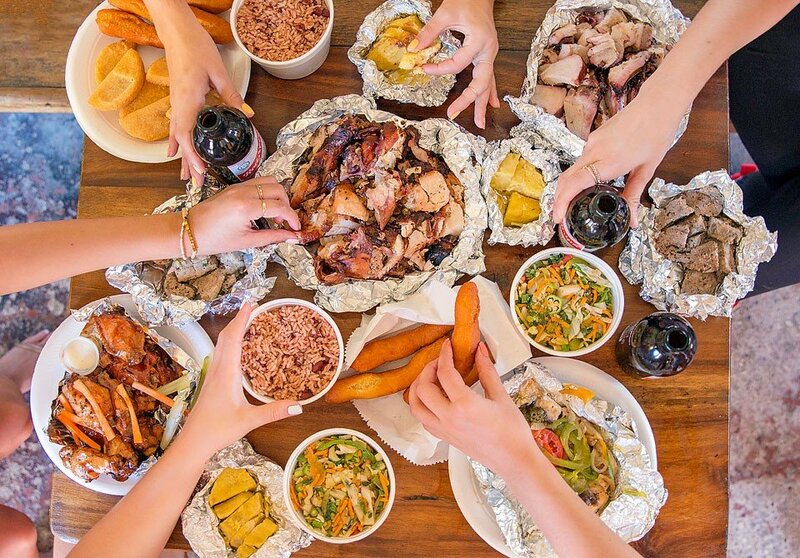 It has the best jerk in Montego Bay (or Mobay as the locals call it). Scotchies was delicious and I am glad we got a little bit of everything to try. My mouth thanked me for this treat! Tastees – Tastees is Jamaican fast food and you have to go here for meat patties. I would recommend getting the beef and cheese flavor. It was scrumptious! The Markets – I always love exploring the local markets wherever I visit. 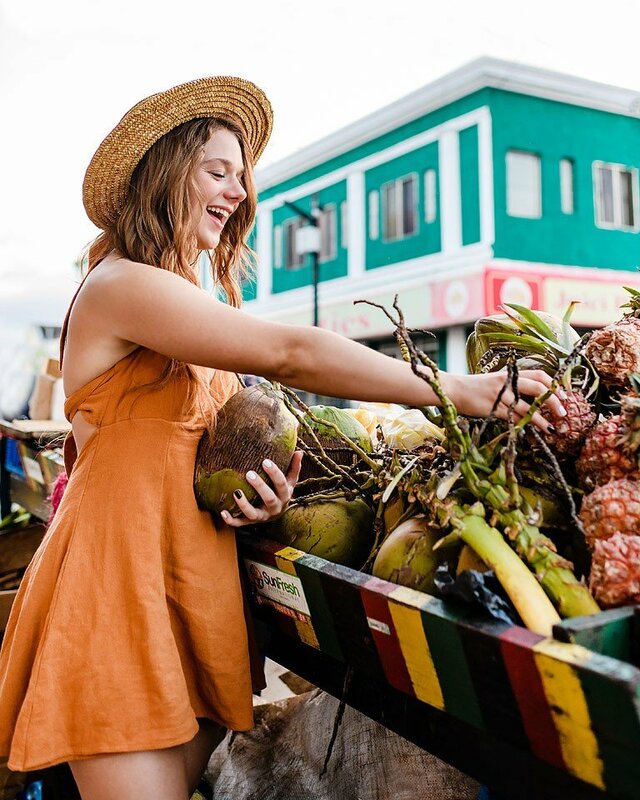 There was so much fresh fruit in Jamaica, which you start to miss in the wintertime in Canada. If you go, you must get a jelly…which is a green coconut. The fresh coconut water is to die for and it is so refreshing. I really liked the Jamaican apple and the star apples were also tasty. You can’t find them at home. Thanks for following along on my Jamaican adventure. ? 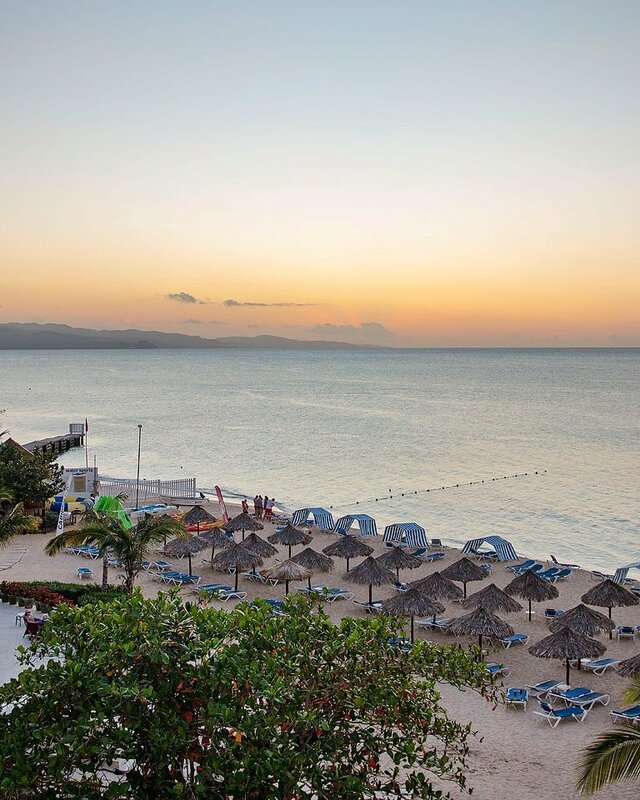 This blog post is brought you in collaboration with Air Transat, Visit Jamaica and the Royal Decameron Cornwall Beach. Thank you for supporting the brands that support me.